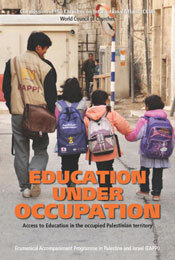 In Palestine, the obstacles to receiving an education are numerous. Many kids must walk through checkpoints daily, subject to having their bags searched by soldiers. Others must make their way to school along treacherous paths, such as hurrying through military firing zones, crossing busy highways, or using drainage pipes to go underneath. Some schools have a constant military presence. Kids even encounter violence from the Israeli military and Israeli settler attacks. Our Access to Education project offers protective presence to kids on their way to school and during the school day. We ensure that kids make it to school on time, are protected from violence, and feel safer, so that they can focus on what a kid should: getting a good education. Protection on the ground is great! But we can't make sure children have access to safe and healthy education alone. We need you to join our campaign! No child deserves to worry about war. They deserve the opportunity to develop their personality, talents, and abilities to the fullest. "When Israeli soldiers and settlers come into the school, students are afraid to come to school the next day. They express their fear in their artwork: drawing pictures of soldiers shooting guns. 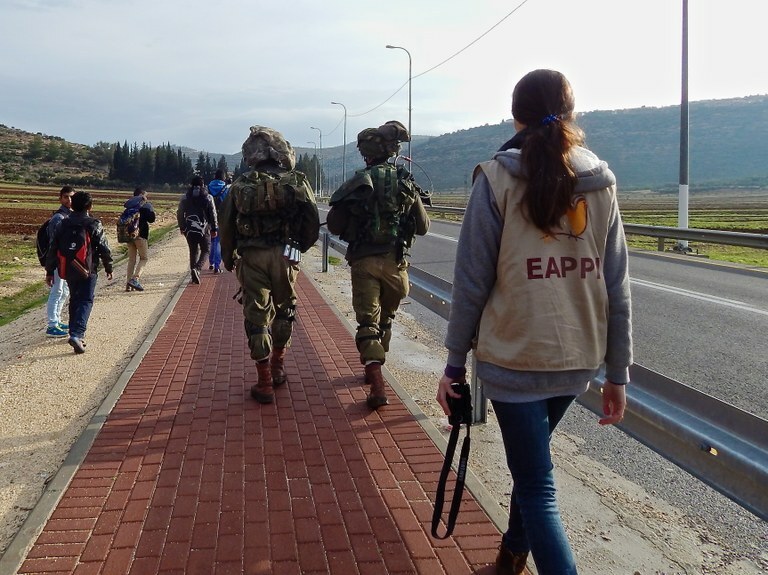 When EAPPI is here, soldiers and settlers don't come. We hope you continue to come here."